What&apos;s sadder? The fact that people still try the whole phony stock tip trick or the fact that it apparently still works. 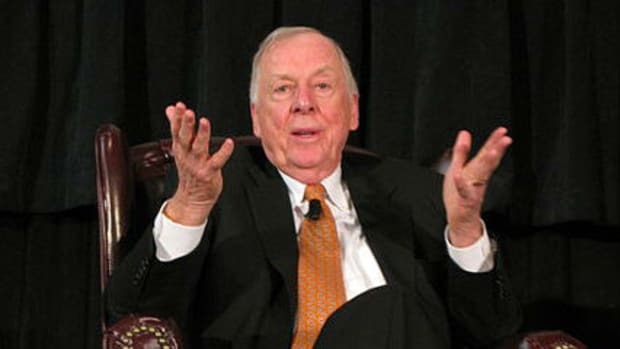 The son of billionaire oil tycoon T. Boone Pickens pleaded guilty to securities fraud Monday, admitting his role in a scheme to inflate the stock value of three companies so he could make hundreds of thousands of dollars illegally. Michael O. Pickens, 52, of Nocona, Texas, entered the plea in U.S. District Court in Manhattan after signing an agreement calling for him to be sentenced to as little as four years and nine months in prison or as much as five years and 11 months. Judge Loretta A. Preska set sentencing for Jan. 30 after Pickens entered the plea to three charges of securities fraud. Oh. Right. Trick question. What&apos;s really sad is drunkenly presumably) breaking into a fly-fishing shop.